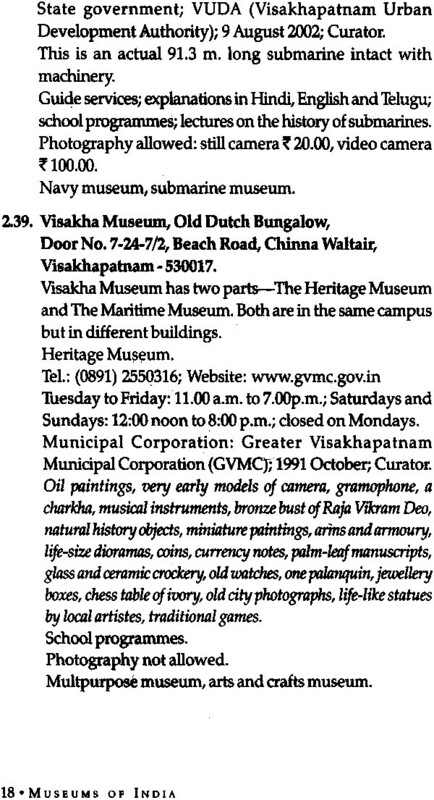 The Directory of Museums in India has been prepared with the objective of collecting at one place all the basic information on museums, the type of information normally required by any prospective visitor/tourist. 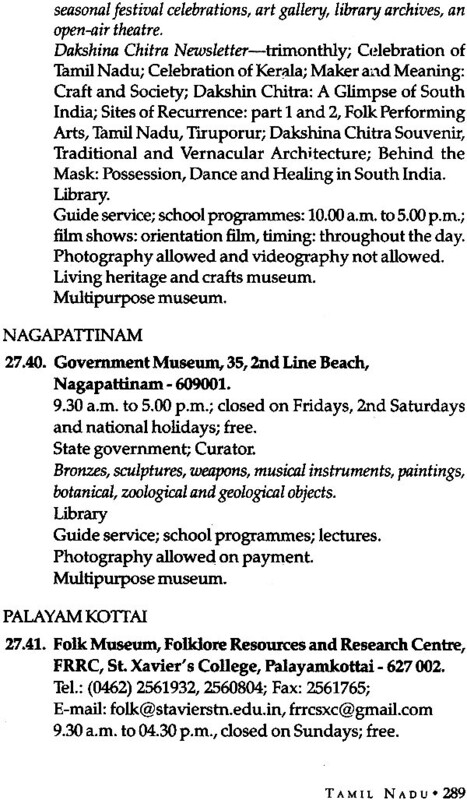 For each museum in the country, it gives full address, telephone numbers, opening and closing time, closed days, entrance fee, the types of collections the museum has, and so on. 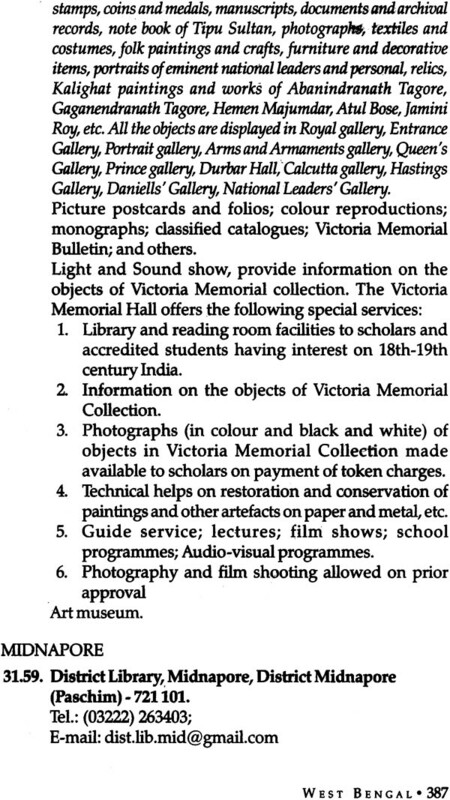 It also mentions about the publications of each museum, whether a library is available or not, and whether photography is permitted, It also gives valuable information on the availability of guide services or holding of lectures or film shows. 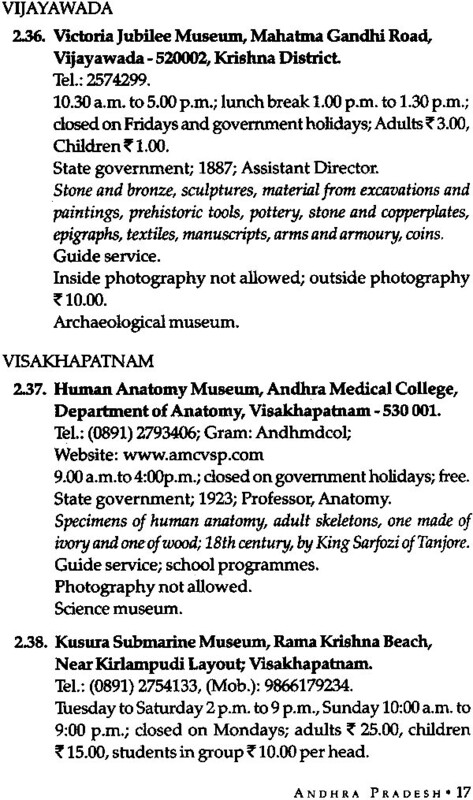 At the end, as guide to the visitor, the type of museums, whether, it is archaeological, ethnological, art museum, or science museum, etc. is also indicated. 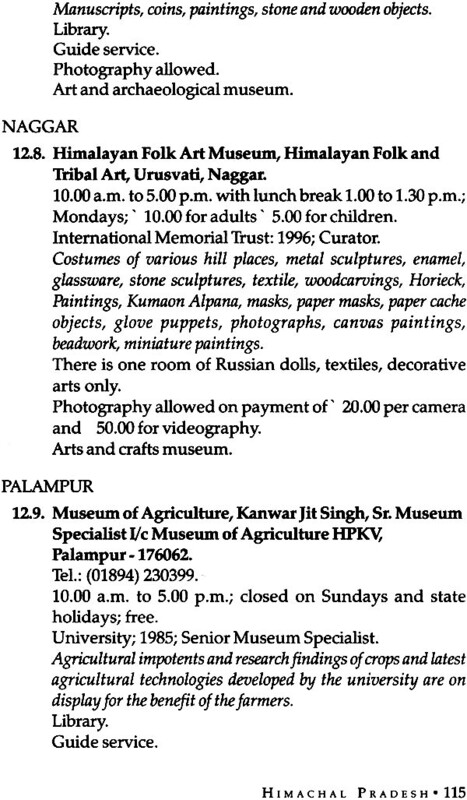 All in all it is a compendium of information commonly sought by any person who wants to visit a museum. 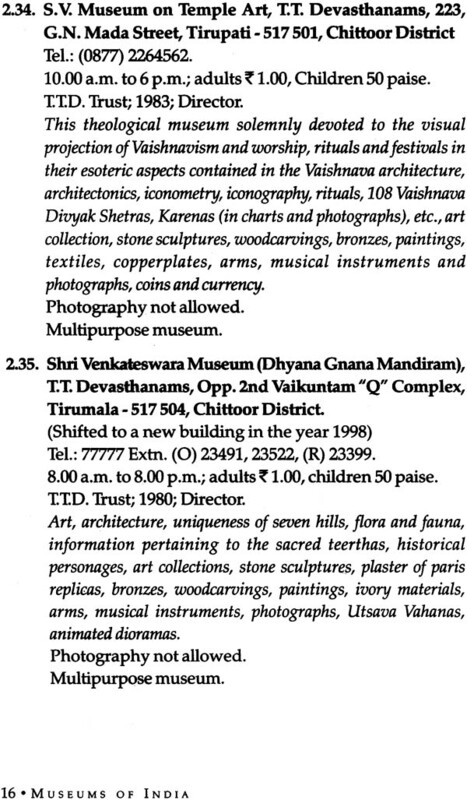 The first edition of the Directory of Museums in India was published in the year 2000. This is the 4th edition. 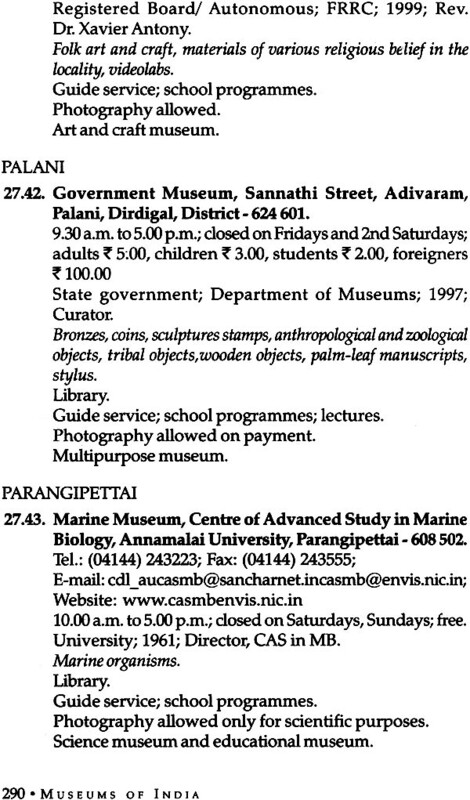 In this edition many new museums has been added. 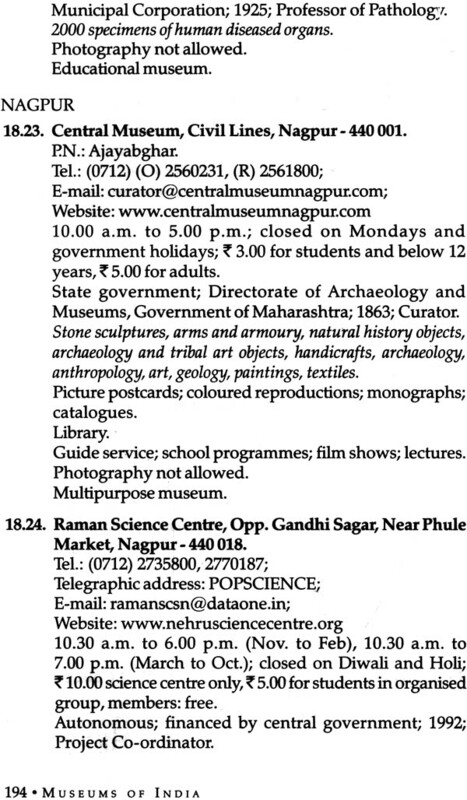 Some museums which existed once upon a time but not now, have been deleted. 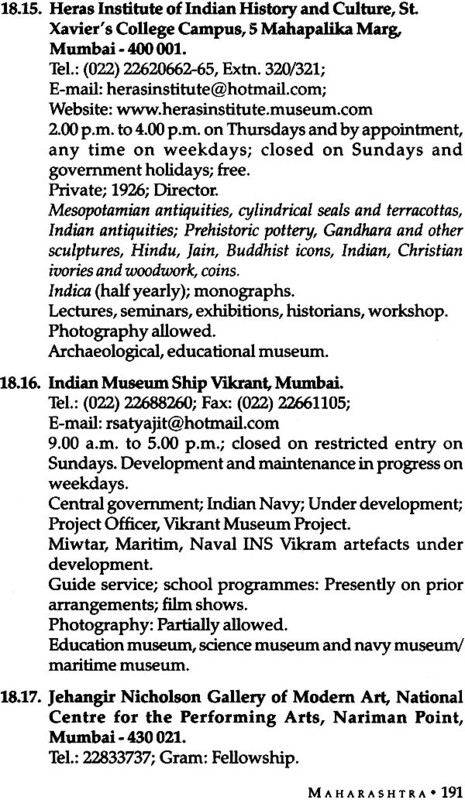 More information on each museum has been give, what changes have taken place in any particular museum have also been added. 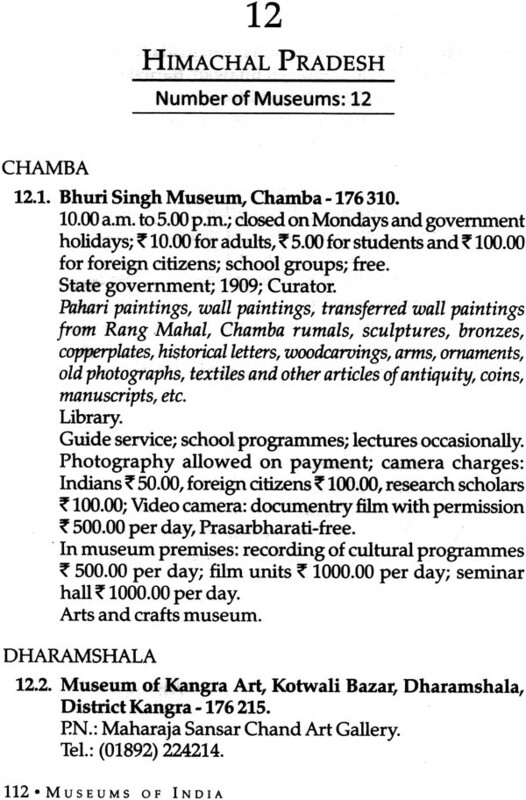 This is the only book of its type on Indian museums where all the relevant data useful for visitor’s, tourists, museum persons, scholars, libraries and planners is available. 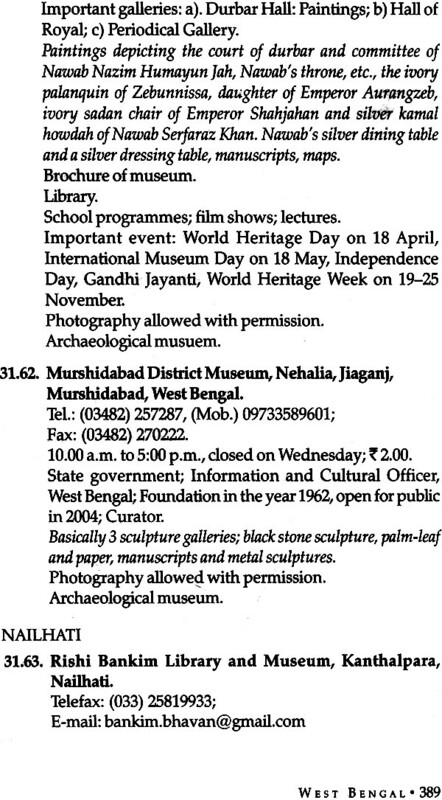 Mrs. Usha Agrawal, former Director of Museum Development Cell of INTACH Indian Council of Conservation Institutes, has a wide experience of dealing with museums. She conducted a detailed survey of museums in various states, a project supported by the India Foundation for the Arts and Sir Ratan Tata Trust. 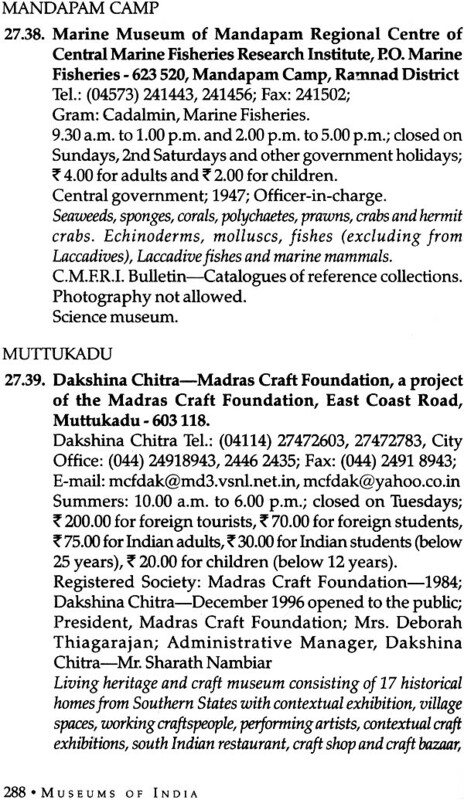 For this project, she visited personally a large number of museums and during these visits she collected invaluable information on museums and their working including the data which is presented in this Directory. 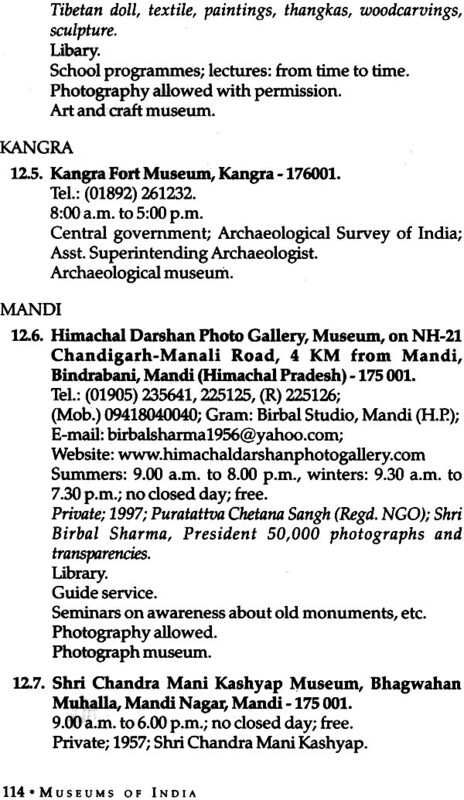 She worked with the International Council of Museums as Research Officer at its Regional Office in New Delhi, and collected details on museums of India and its publications. 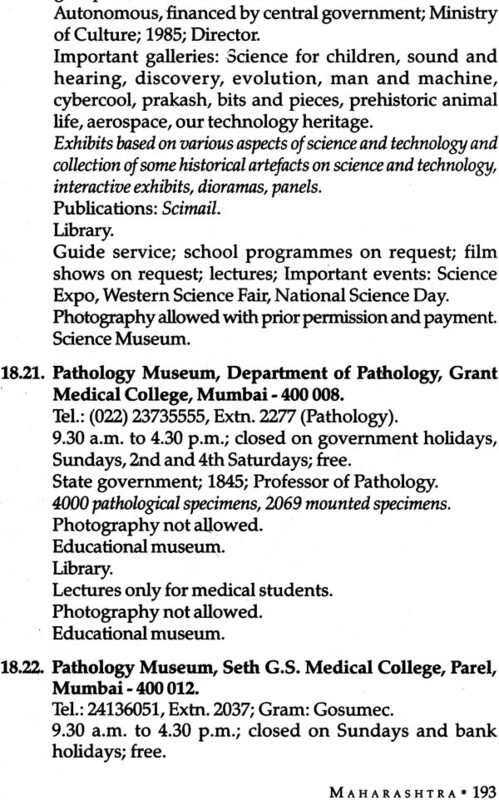 She has prepared several bibliographies on various subjects related museums. She has also worked on different conservation projects and has guided them. 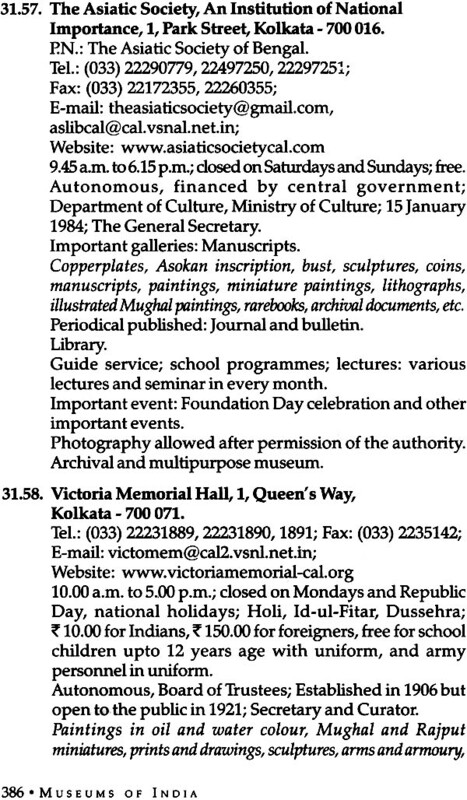 It is very satisfying that the Directory of Museums in India is going init s fourth edition. 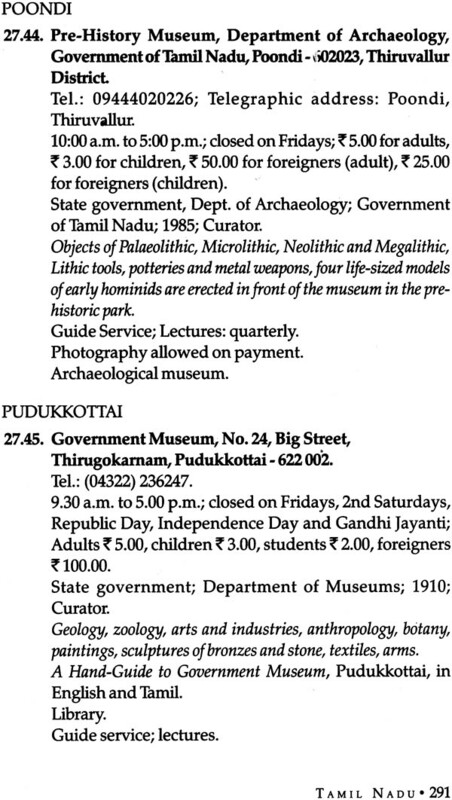 Since the time the third edition was published in 2009 many new museums have opened. While previously the total number was 746, today the count is 833 museums. 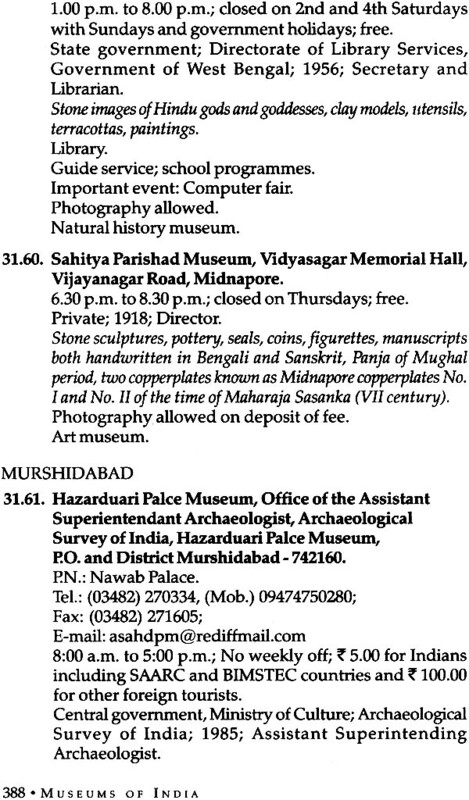 For several museums, information on their collections and activated has also changed. 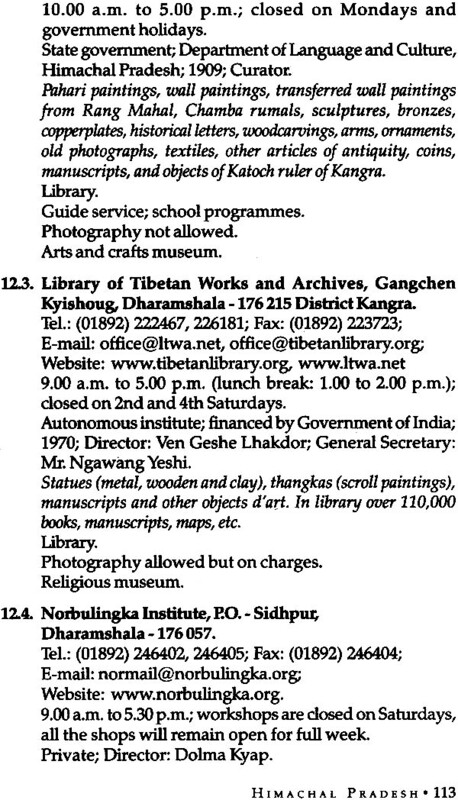 Such changes have been incorporated in the new edition. 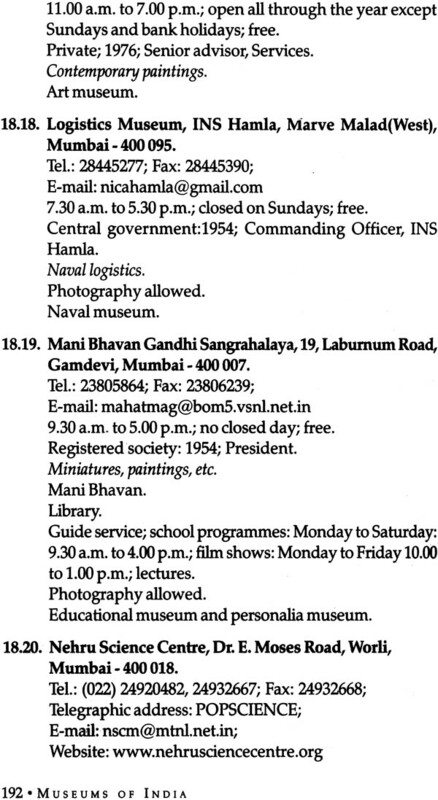 Telephone numbers were recently changed throughout the country. We have changed all the numbers as far as possible, but it is quite likely that in some of them the change could not be carried out, only because information was not available. In such cases one may try by prefixing 2 to the old number. Our hope will be that a new edition is brought out annually, so that any changes- additions and deletions- can be carried out. 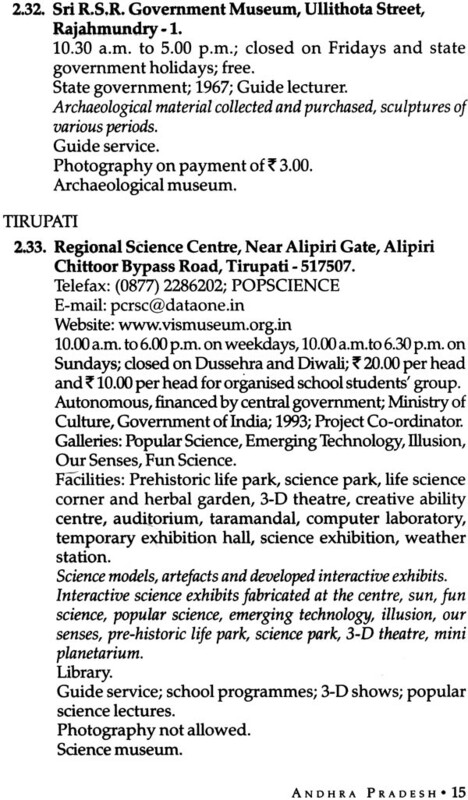 Considering that this is the only directory of its type, which provides information on museums in India, an annual edition is more than desirable. I am grateful to INTACH for supporting the project. I am grateful to my assistants, Mrs. Kanak Khan and Mrs. Radhamma D., for ungrudgingly helping me in revising all the data. 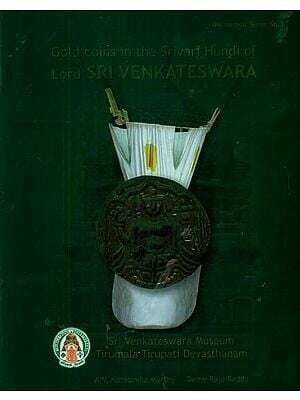 I am also grateful to M/s Aryan Books International for having agreed to publish the 2013 edition.